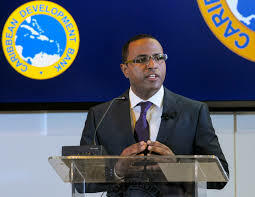 he CDB said that when completed, the program is expected to focus on the implementation of reforms to generate and entrench improved fiscal performance. Additionally, it will seek to improve external performance and drive growth by addressing critical infrastructure gaps, and strengthening the regulatory and institutional environment within which the private sector operates. Moreover, it will place emphasis on mitigating any potential negative impacts the implementation of the program could have on the most vulnerable groups of the society. The technical assistance project will take into account lessons learnt from similar CDB-funded interventions that supported Ministries of Finance in Jamaica and Grenada. It is consistent with the Bank’s corporate priorities of strengthening evidence-based policymaking, and improving economic, fiscal and debt management.